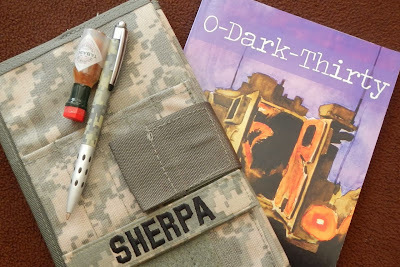 Not so, however, the Veterans Writing Project's journal "O-Dark-Thirty." In short, it's short. A quick hit of literary adrenalin. A mini-bottle of inspirational Tobasco. 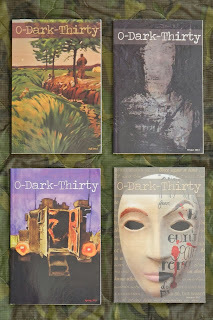 Each issue debuts new voices, demonstrates the versatility of each writing form, and depicts the military experience in new and provoking ways. Then, it disappears into the night. Graduate student Elizabeth Sherman writes an unflinching essay about hooking up with a combat veteran on campus. Paul Van Dyke writes a time-and-memory-jumping story inspired by his extended 2005-2007 tour in Iraq. Dyke deployed as part of the Minnesota National Guard's 1st Brigade Combat Team, 34th Infantry "Red Bull" Division (1-34th BCT). crabgrass, a burnt patch forever remains. Jim Matthews interviews Siobhan Fallon, author of "You Know When the Men Are Gone," an interconnected collection of short stories published in 2011. The Veterans Writing Project's Fall 2013 writing seminar is Oct. 26-27 in Washington, D.C. The seminar is free to veterans, service members, and adult military family members. Participants must provide their own transportation, lodging, and meals. See the calendar for information on how to apply.